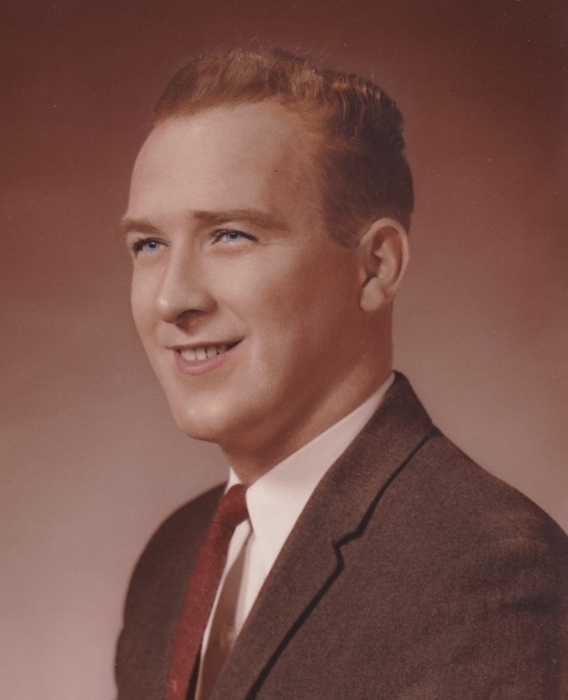 Joseph Robert Ouellette, 81, of North Windham, CT, passed away on January 17, 2019, at Saint Joseph Living Center in Windham, CT from complications due to dementia. He was born in Willimantic, CT, on September 3, 1937, the youngest son of the late Omer and Evelyn (Bissonnette) Ouellette of Quebec, Canada. Robert attended St. Mary School and Windham High School and served in the Army at Fort Buchanan in Puerto Rico from 1956 to 1958. After working a number of odd jobs upon his return to Willimantic, he formed and co-owned Polaina & Ouellette Dry Wall Contractors and married his wife, Jennie, in 1961. A few years later, he took an entry level position in the Willimantic Post Office, embarking on a 35-year career with the U.S. Postal Service, which culminated in his retirement as Post Master of the Willington Post Office in 1999. A loving and dedicated husband and father, Robert always had time to lend a helping hand to family, friends and neighbors. He loved to build and fix things, and his craftsmanship is abundantly apparent in the family home, from the addition he and his brothers and friends built in 1973 to custom cabinetry and woodwork, an outdoor patio, and a deluxe outdoor shed. In his spare time, he volunteered his services in many capacities for decades at the Franco American Civic & Social Club, where he served as its president in 1965. Also, he was proud to have been a blood donor for over 30 years. He was awarded the Connecticut Veterans Wartime Service Medal in 2016 for his service during the Cold War & Vietnam War Era. Robert leaves behind two daughters, Jody Ouellette of North Windham, CT, and Wendy Ouellette and son-in-law, Tim Noble, of Brewster, NY; his only remaining sibling, sister Yolande Marvel; sisters-in-law Estelle Ouellette, Irene Ouellette, and Agnes Gollner of Connecticut; brothers-in-law Roger Dzieken of Colorado and William Hanson of Florida; a cousin, Leopold Bissonnette of Willimantic, and many wonderful nieces, nephews, cousins and friends. He was predeceased by his wife, Jennie (Hanson) Ouellette; three brothers, Gerald, Jean-Marc, Normand and his wife Jean; and a sister, Dolores Dzieken, as well as many cherished cousins, aunts and uncles. Robert’s family will receive relatives and friends on Tuesday January 22, 2019, from 4:00pm to 6:00pm at Potter Funeral Home, 456 Jackson St. (Rte. 195), Willimantic. His funeral service will held Wednesday, January 23, 2019, at 10:30am at Potter Funeral Home, with burial to follow at the Riverside Cemetery in Oneco, CT. The family would like to thank the staff and recreation department at Saint Joseph Living Center for their compassionate care and support of our dad, as well as “Uncle” Leo for his limitless help around the house. In lieu of flowers, donations may be made to Alzheimer’s Association of CT, 200 Executive Blvd. S #4b, Southington, CT 06489, or Saint Joseph Living Center, 14 Club Rd., Windham, CT 06280.